Per CPC, through the middle of Februrary, cold and wet, followed by cold and dry for the rest of the month. So the snowpack holds. But the longterm for March and April, doesn't look as good: warm with with an equal chance of above, normal, or below precipation from Tahoe southward. Below average precipitation for Tahoe northward. Another concern, Bales says, is runoff that comes too early, triggered by warmer temperatures and rains over the mountains during winter months. Runoff occurring before April has the potential to cause flooding downstream. There's been talk of a massive atmospheric river the past few days. But nobody is very confident about it happening. The 8-14 day shows cold and wet. Also, the 3-4 Week discussion states the 8-14 day as high confidence which equates to lower chances of an atmospheric river. However, going forward, it states it has no confidence either way for West Coast, leaving it equal chances for both precipitation and temperature. How confusing. I will look at Daniel Swain's blog this weekend for more discussion on this issue. One thing is for sure, the storm door is staying open for the next couple of weeks. Hopefully, it will stay cold too. Looks like Wednesday into Thursday going to be atmospheric river. How strong and big still up in the air. Could melt lots of snow. Bad for Kern Plateau and SoCal mountains if too warm. For Friday Saturday NWS forecast discussions indicate less chance of second atmospheric river possibly even dry. I like this guy's forecasts, he always explains his reasoning very clearly and is focused just on the Tahoe area mountains. Combine his and Howard Schecter's stuff with the NWS forecast discussion and you get about the best picture you can assemble. Ha ha, so true. I'm so happy. I was worried about a dry winter, but not anymore. Great snow amounts up and down the Sierras. Now it's just a matter of how long we have to wait in the spring to get out and backpack !!! 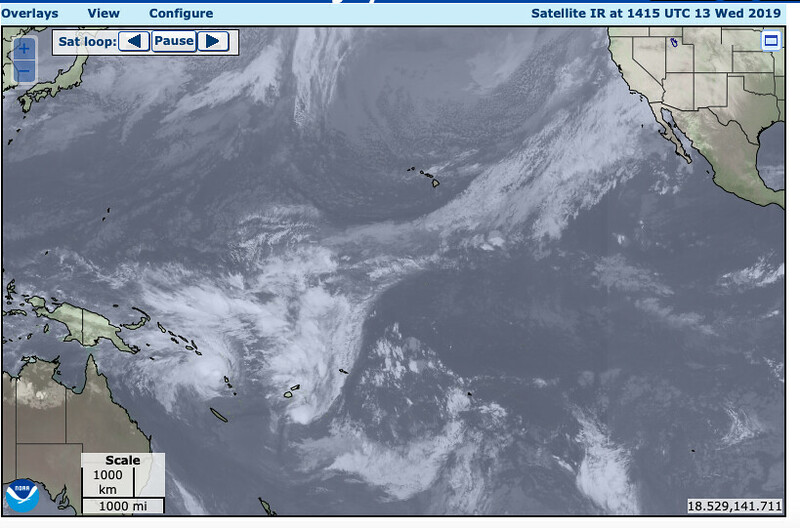 Impressive fetch of moisture streaming into North America from below Hawaii and beyond.